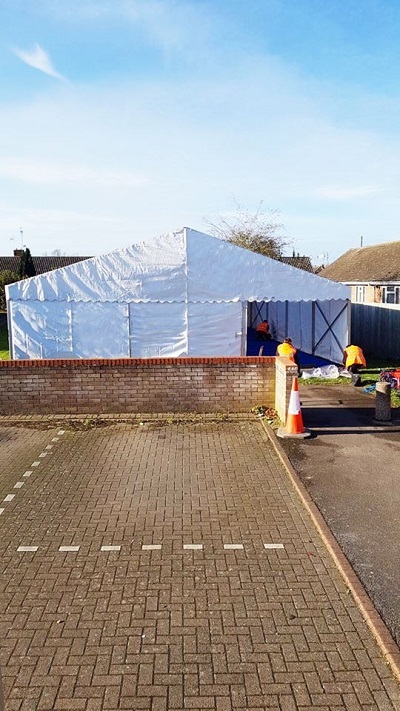 We were able to support DIY SOS in Mildenhall this year and provide a catering marquee for the workers to have a coffee/tea break. Simon’s life was changed in early 2015 when he was left brain damaged after a unprovoked attack at a football game. We were delighted to be part of the great project and support Simon Dobbins & his Family. More than 300 volunteers gave up their time to renovate their home. The show relies on the support and generosity of local tradespeople to carry out the work. No date has yet been set for the programme to be aired.